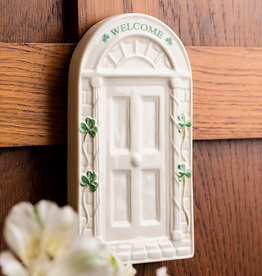 This lovely door plaque features hand painted shamrock detailing on a beautiful georgian Doorway, typically found in Dublin. Made in Ireland. 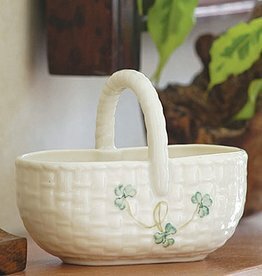 From Belleek Pottery. 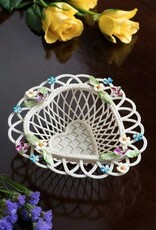 PREORDER NOW AVAILABLE! 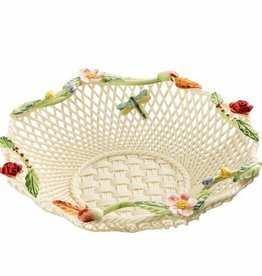 Order will ship on November 3, 2017! 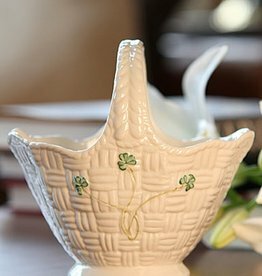 The New Belleek Trademark Pitcher is the 2018 Limited Edition Signing Piece! 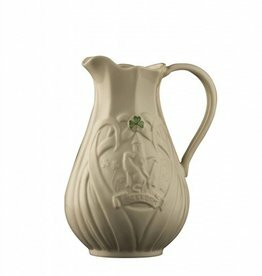 This lovely little pitcher features hand painted shamrock detailing with the traditional Belleek Trademark Logo. 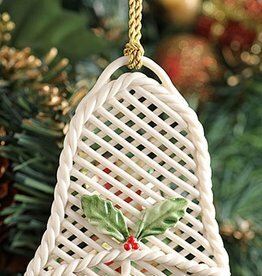 The Belleek Holly Basket Bell ornament is made in the fine tradition of Belleek basket making. 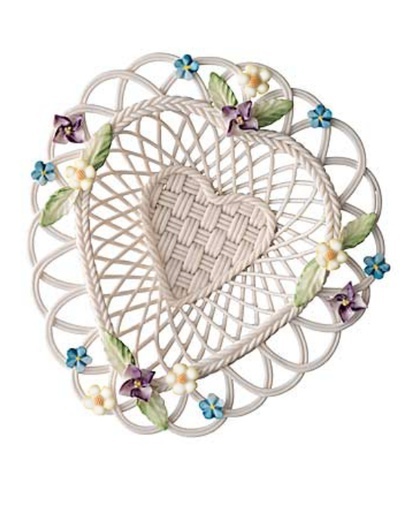 Intricately decorated with a sprig of Christmas holly this beautiful bell is a symbol of truth and new beginnings. 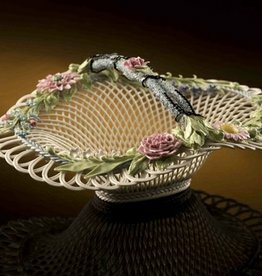 To market we go, with this pretty porcelain creation! 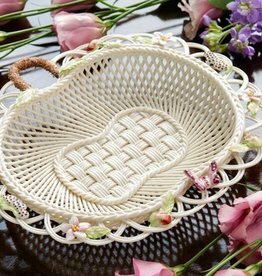 This adorable little shopping basket is a great piece to add to any Belleek collection. 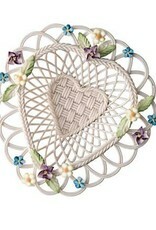 It measures approx 3”H x 3.5“L X 2”W. 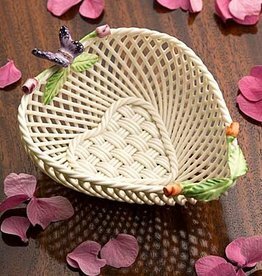 This basket has been designed to represent a floral shape. 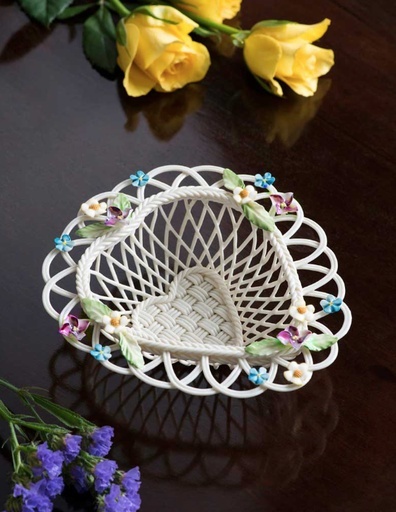 Flowers are one of Belleek Pottery's decorative identities where wonderful floral motifs and hand applied flowers grace the sides of many collections.